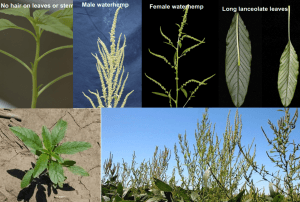 Numerous products are available for the first application (Table 1), but it is important to select a product that is highly effective on waterhemp. 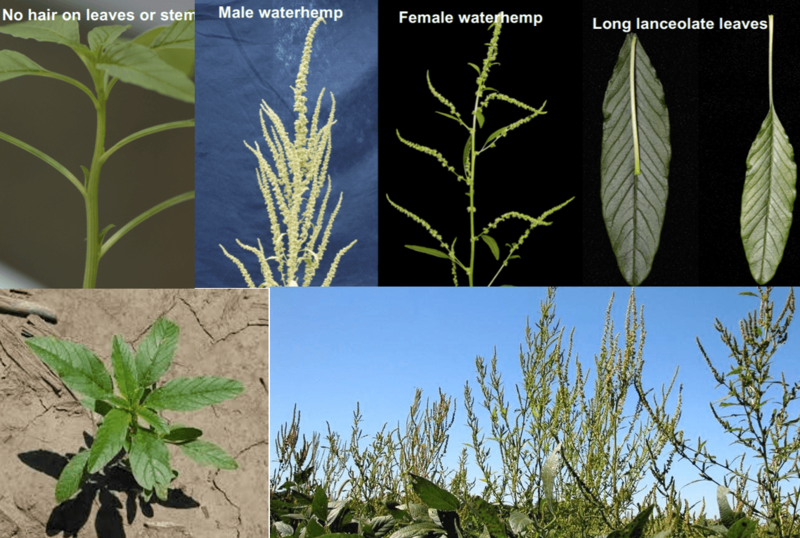 For fields with heavy waterhemp pressure, the Group 14 and 15 herbicides will provide the most consistent control. 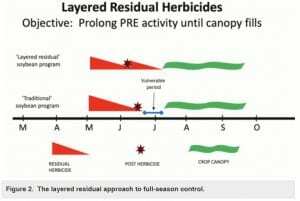 Group 15 herbicides are the only products with sufficient residual activity to be included with the POST application. 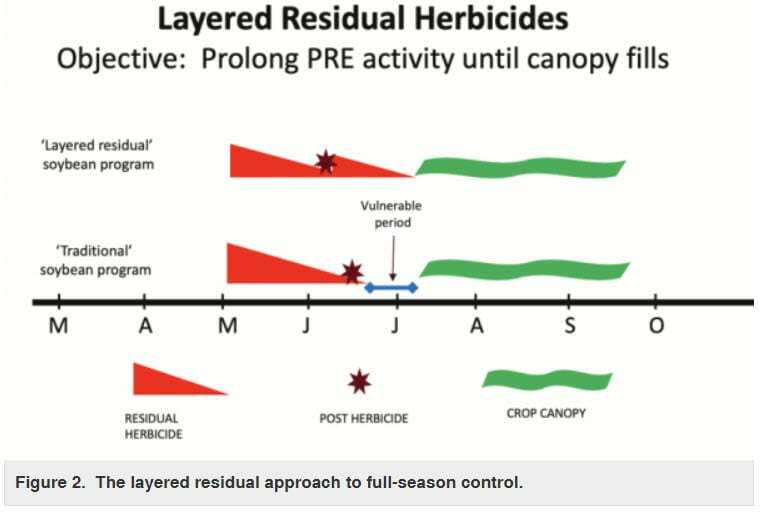 Since the goal is to extend control later into the season than typically achieved with preemergence products, the layered residual approach requires the maximum labeled rate for the soil type. 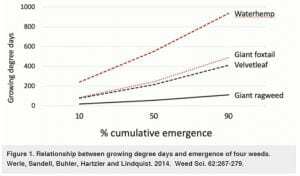 Typically 60 to 70% of the preemergence herbicide is applied at planting, and the remainder in the second application. The University of Minnesota has published informationcomparing the effectiveness of several layered programs. 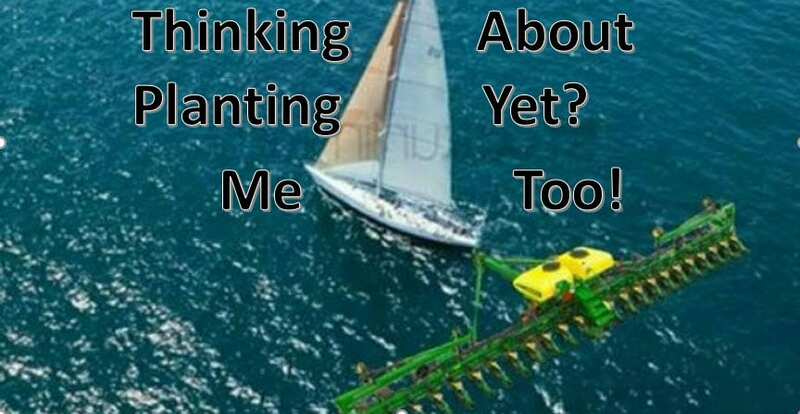 Posted by John at 8:46pm Posted in Field Crops, IPM, Pesticide Training, Pesticides, Soybeans, Weeds. Bookmark the permalink.